Oya Thomas is a nationally-known inspirational speaker and award winning author who lights up audiences with vitalizing talks that encourage others to express their authentic selves. Infused with compassionate, loving, powerful, divine energy and her bubbly sense of humor, her thought-provoking presentations incorporate lyrics and spoken word to raise consciousness and increase any room's vibrations. Oya is a long-time leader and entrepreneur and uses her education and rich life experiences to guide each speaking engagement. As a speaker, an artist, and a student of psychology and spirituality, she has always taken the initiative to go after her own life's passions with graceful gusto. At age 10, she began to work as a paid event singer and actress, eventually launching her own modeling and talent agency in high school, which evolved into a production company. And her lifelong quest to learn about the mysteries of the mind led her to earn a B.A. in Psychology from LMU Loyola Marymount University and an M.A. in Spiritual Psychology at the University of Santa Monica. Her highly-specialized degrees, her deep knowledge of business and the artistic field, plus the fact she has seen both the glorious and the challenging parts of all sides of the entertainment industry has taught her, first-hand, the keys to being successful. The wisdom she has gathered through years of hard work, study and life lessons gives her unparalleled expertise to help the women, artists and children she coaches discover ways to become leaders and find happiness. Combining an up-front, real attitude with a contagious, pure conviction that life should be lived with joy and courage, Oya delivers practical strategies to help people truly embrace the gift of manifesting their dreams. Oya has spoken at women's groups, seminars and workshops, schools — junior high schools, high schools and universities — and church and community events. The depth of her knowledge and curriculum gives her the ability to custom-design talks so they are tailor-made for each group. 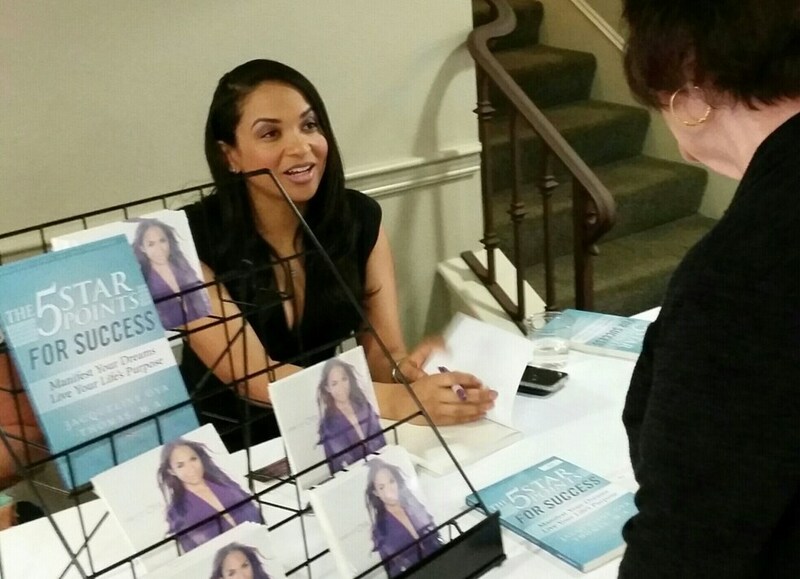 Inspire yourself and guests at your next event to shine your bright light in the world with Oya Thomas' energizing Signature Talks. Through these programs, participants learn how to silence criticism, blame and excuses so they can align and co-create with their spirit and build a loving relationship with themselves in order to really connect to their dream and find the courage to live it. She helps them access the unstoppability of their inner child, who is without restraints and judgements, and delivers the mindset and practical tools needed to achieve dreams and get into the zone of following life's greatest passions against any odds. Oya was such a dynamic speaker. Everyone in the audience hung on every word she had to share. She was definitely a crowd pleaser. She was professional. She arrived on-time. She spoke well. She was very inspiring to the audience. I continually kept in touch with her over the phone and via email for the months preceding the event and I enjoyed every conversation. She was able to provide what I expected and more to my audience. Not only was her keynote address very inspirational, the accompanying workshop was very engaging. I highly recommend Oya for your next event. Oya was amazing. She made my bridal shower a success. She is very professional and talented. Everyone was lien away with her performance. Me and many of my friends and family plan on attending many of her future appearances and I certainly plan on hiring her again for my future events. I felt so Blessed to have her at my daughter's bridal shower. Looking forward to working with her again. She's Beautiful Inside and Out. She's a powerful package!!! Thank You Oya. You are a True Blessing!!!! Oya was such a pleasure to work with and was very inspiring to our group. She worked with our needs and was very accommodating. Everyone left her workshop motivated and focused! I highly recommend working with Oya. This was the first time I had to go outside of my existing vendor list to find a speaker on the topic we had for this month. I was a little nervous to hire someone we had never seen speak, nor did I have anyone I knew that had experience with Oya. It was a leap of faith to move forward with Oya. Thankfully, Oya was awesome! She was so positive and full of energy! This was for a corporate wellness event speaking to the executives and higher management in their corporate offices. She delivered on a personal topic but was able to keep it professional without being dry. She was charismatic, captivating and inspiring. I will definitely hire her again. It was a great experience for our students. Oya was easy to work with and did a fantastic job. I would hire her again! Oya is Lovely! She was amazing at our event, so uplifting, motivating and real. I got compliments about her for days after the event. She even stayed a few minutes extra for some photos with attendees! She is awesome and would be a great addition to any engagement you have! Thank you Oya! Please note Oya Manifest Your Dreams Live Your Life's Purpose will also travel to Los Angeles, Culver City, Hollywood, Studio City, Universal City, North Hollywood, Santa Monica, Sherman Oaks, Toluca Lake, Burbank, Valley Village, Venice, Encino, Inglewood, Marina Del Rey, Van Nuys, Glendale, Pacific Palisades, Playa Del Rey, Pasadena, El Segundo, Hawthorne, Panorama City, Sun Valley, Tarzana, North Hills, Pacoima, Topanga, Arleta, Gardena.